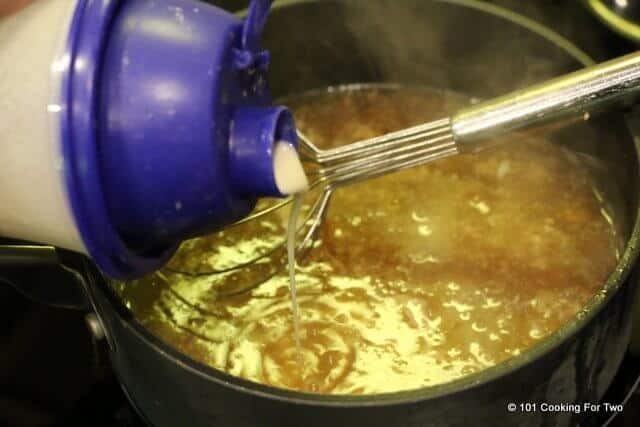 It’s time to learn the secrets to making gravy at home with these easy to follow photo instructions to both the slurry and the roux methods. You won’t believe how easy this can be. Get it right first time and every time. 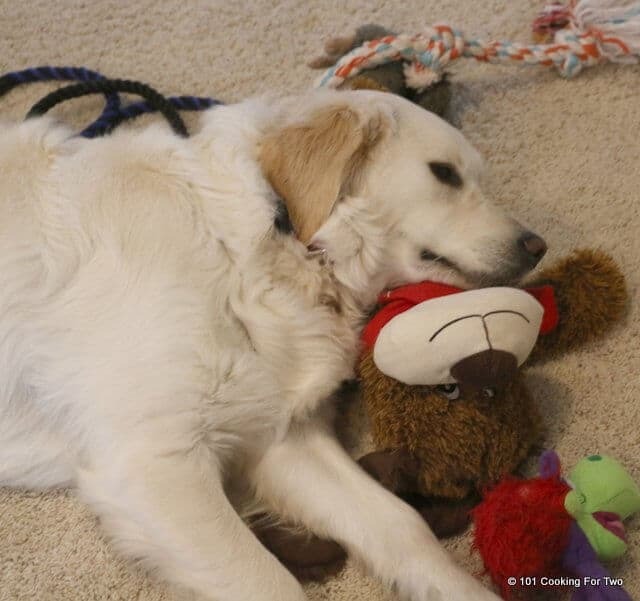 Editor’s Note: Originally published February 15, 2011. Updated with expanded text and instructions along with re-edited photos. This post is less of a recipe but mostly instructions about techniques. Gravy is so easy if you just know how. I usually use the slurry method with flour which I believe is the easiest and most consistent for the home cook. The slurry method uses flour (although cornstarch and arrowroot also can be used). The flour is mixed with a cold liquid, usually water, and combine until there are no lumps. I like using a Tupperware shaker, but just a bowl and whisk will do. With this method, the flour starch is hydrated enough to prevent lumps before sturred into the drippings and liquid slowly. It is then brought to a boil which will help the liquid absorb and cook the “raw” out of the flour. You can add more thickener if needed or dilute the gravy with some broth or water if needed. I like about 2 tablespoons of flour to thicken 1 cup of gravy. I prefer a little fat in the drippings. 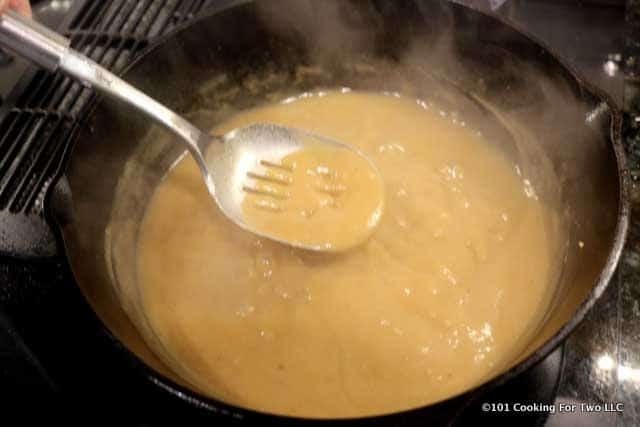 The roux method starts with fat in a pan. Flour is added, and it is cooked until browning some to cook out the raw flour taste, usually only a few minutes. 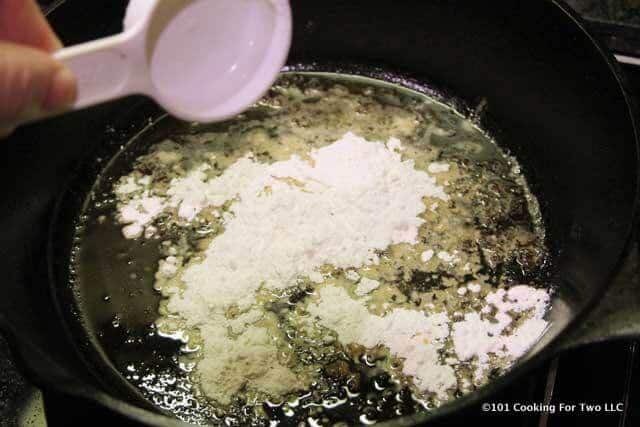 A ratio of 2 tablespoons of flour to 2 tablespoons of fat will thicken 1 cup of liquid. I find the slurry method easier for home. Leave the drippings in the pan. Add some broth if you need to and thicken away. No need to get all the bits of meat or veggies out of the drippings. With the slurry method, you add more flour mixture to thicken. 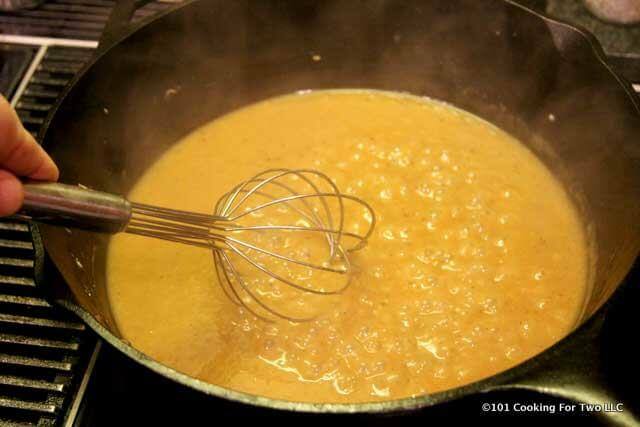 With the roux method, you don’t add all the liquid at the start and then add more liquid to thin. To start, read and understand the instructions BEFORE you start. You will not have time to read and do this at the same time. 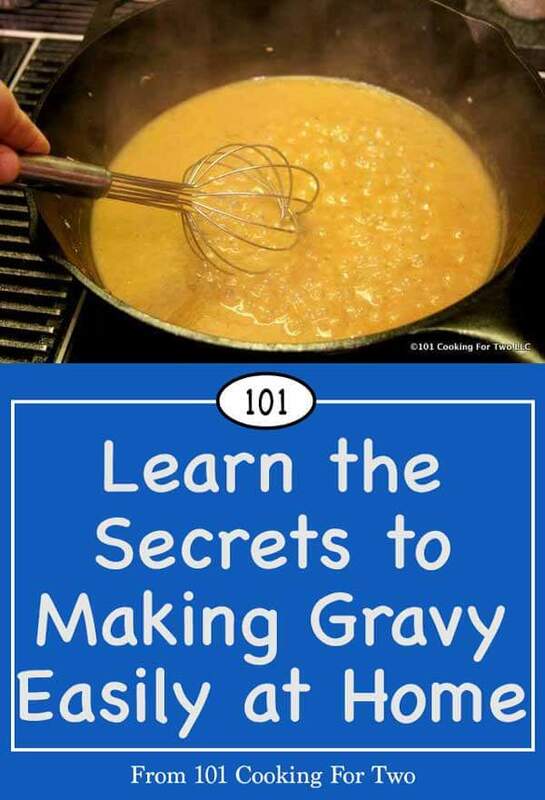 Key ratio: for 1 cup of gravy you will need 1 cup of broth and 2 tablespoons flour. Drippings from cooking and 2 tablespoons per cup of gravy is very good. Equipment: Tupperware Quick Shaker is recommended, but a bowl and whisk will do, stove top pan with a large bottom, a large slotted spoon or whisk. Combine about equal amounts of AP flour and COLD water or broth in your Tupperware Quick Shaker (or a bowl and whisk). I generally make about 50% more than I estimate I need so I can thicken a bit more if needed later. Shake vigorously and continuously. Get it all mixed. You want about 2 tablespoons of flour per cup of gravy you are making. 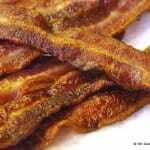 You need fluid from your meat with some fat in it. You could add broth or other liquid to get to the volume you want to make. You can also add soup base or bullion for more flavor. The liquid needs to be in a stovetop-safe pan. Now over medium-high heat, bring the liquid to a boil. Turn on two burners if the pan will cover them. Slowly add the flour mixture to the area of hardest boil SLOWLY while VIGOROUSLY stirring with a slotted spoon or whisk. Turn the heat down a bit. Pay attention to the thickness and stop adding the flour mixture when you get almost to the consistency you want. It will thicken a little with the cooking in the next step. Continue to cook for another 2-3 minutes while still stirring continuously then remove from heat and serve immediately. This will cook the “raw” taste out of the flour. NOTES: The Tupperware Quick Shaker is great in this technique. These are about $13 on Amazon, eBay, a Tupperware dealer or a mall kiosk near you. Google is your friend again. 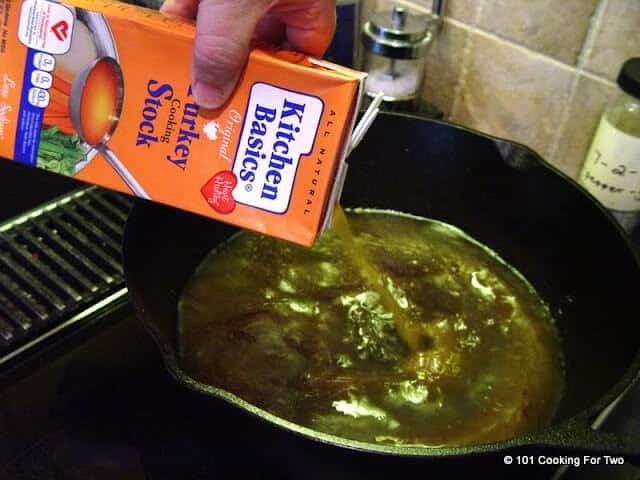 Key ratio: for 1 cup of gravy you will need 1 cup of broth, 2 tablespoons fat and 2 tablespoons flour. Over medium-high heat, heat your fat (butter, drippings from meat, etc.). 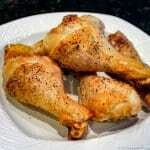 When hot add an equal amount of flour slowly while stirring or whisking continuously. Cook until browning some. Then slowly add the liquid for the gravy. Add most of the liquid but not all. Stir continuously to combine and decrease heat some. Cook for a few minutes. Add more liquid if needed. PLEASE REVIEW THE PHOTO INSTRUCTIONS BEFORE STARTING - You will not have time to read them while doing this. The liquid needs to be in a stovetop-safe pan. Now over medium-heat, bring the liquid to a boil. Turn on two burners if the pan will cover them. lowly add the flour mixture to the area of hardest boil SLOWLY while VIGOROUSLY stirring with a slotted spoon or whisk. Pay attention to the thickness and stop adding the flour mixture when you get most to the consistency you want. It will thicken a little with the cooking in the next step. Continue to cook for another 2-3 minutes while still stirring continuously then remove from heat and serve immediately. This will cook the "raw" taste out of the flour. Over medium-high heat, heat your fat (butter, drippings from meat, etc.). When hot, add an equal amount of flour slowly while stirring or whisking continuously. Cook until browning some. Usually 2-3 minutes. Then, slowly add the liquid for the gravy. Add most of the liquid and cook for a few minutes. Add more liquid if needed to thin. Stir contiously to combine and decrease heat some. Cook for a few minutes. General ratio: 2 tablespoons flour:1 cup liquid for both methods. With the roux ratio also add 2 tablespoons oil/fat. In the slurry method, you add more flour mixture to thicken more if needed. In a way, the roux method is the opposite. You add more liquid to thin more. Have the pan over two burners if the pan is large. By default, I always skip gravy recipe’s that are there to compliment the main dish recipe that I’m after (the roux method makes me question my abilities at everything, lol) but that doesn’t stop me from scanning over them, always looking for ideas/insights. I’m so glad I’ve kept that habit and picked up your idea (just in time for Holiday Cooking!) 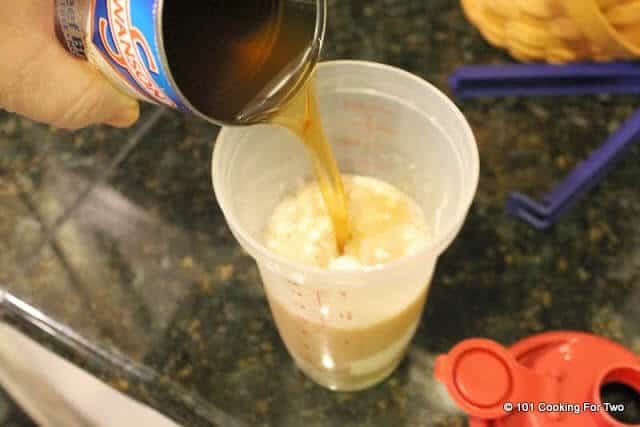 to use cold BROTH instead of water when combining the flour/cornstarch 1:1 to create the liquefied flour/starch mixture. Genius! I started using cornstarch so long ago I don’t even recall why except I believe I found the finished gravy to be silkier so I’ve stuck with it ever since. Making gravy using the slurry method easily allows for multiplying the ingredients for large events. On several occasions I’ve made huge batches (gallons +) for church events using a dutch oven. It’s also a perfect way to make a gravy when you don’t have the fat from a meat or for dietary reasons (that would be me) prefer to forgo the fat and just create a basic gravy. No matter the portion or reason, your slurry method allows the gravy to be tailored to the main dish, so since I don’t add the meat fat or pan scrapings for my gravy, instead I add the same seasonings to the gravy mixture that I put in the main dish (a tip I learned years ago in an old cookbook I found in a thrift store – those are the best! 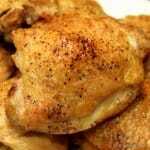 ), That way there is a compliment of flavors as opposed to a competition or flavorless gravy. Hope you don’t mind that I share, to make a gravy w/o meat fat or pan scrapping, I always start with a warm sauce pan, heat up olive oil and saute’ a bit of chopped onion for a few minutes (just enough to sweat them) then add the chosen seasonings and a broken up bay leaf to the onion, stir a few more minutes to get those flavors cracked open, then add my base liquid/broth. Cover and let it simmer on the lowest setting for about 15-20 min. I don’t necessarily use ‘all’ the same seasonings as the main dish but at least the ones which will set the flavor in the right direction. After the simmer, I pour the cooked gravy liquid through a mesh strainer into another saucepan I’ve had sitting on the stove nearby to get it nice and warm, straining out the cooked onion, bay leaf and seasonings. Now I have just the flavored base for my gravy so I put it on a burner set at med-high and right away start whisking in the measured amount of flour/cornstarch mixture for my batch. I keep whisking and whisking until it starts to come to a boil and begins to thicken; adding more flour/cornstarch mixture (only if necessary) to get that preferred sticks-to-the-back-of-a-spoon thickness. Boom! 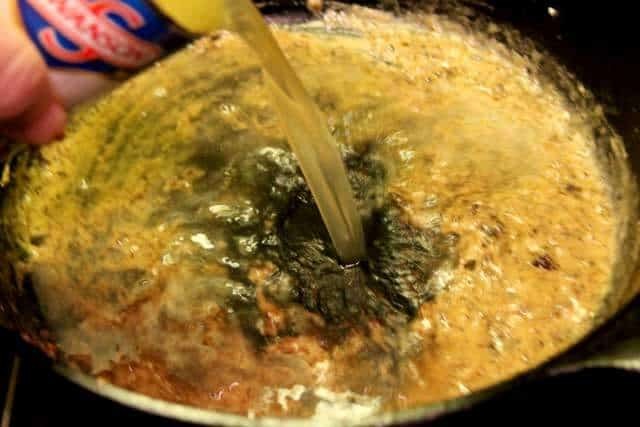 Perfect gravy, every time – The Slurry Method! 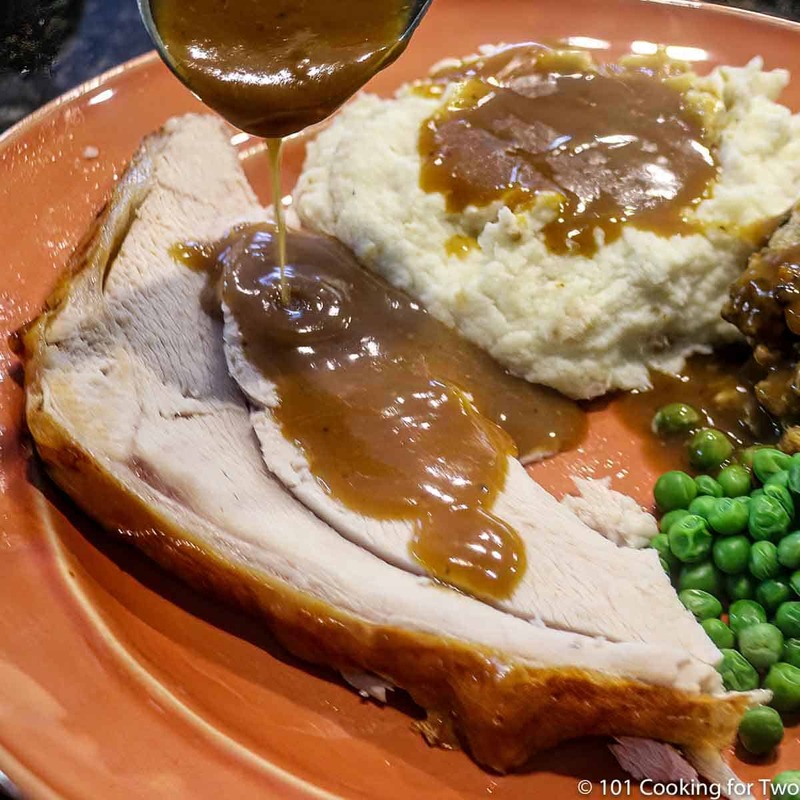 People are so afraid of making gravy but this slurry method you’ve laid out truly is very easy. I am now known for my gravy and when people come over I’m always asked, “are you making your gravy?” Not kidding! The main tips I always give out: no mater the flavor or dish, never forgo the bay leaf (unless, of course, there is dislike) and most important, when it comes time to make the gravy for the meal, make certain nothing else needs your attention and plant yourself at the stove; make that whisk your best friend because you’re not going anywhere! Never stop stirring/whisking for even a second until it’s done. I always notice the following but never comment: When people are over for dinner, I always leave the final steps of whisking to make the finished gravy for last, right before it’s time to serve the meal. Fresh, hot-off-the-stove gravy – yum! At the start of the process there’s always a ‘hush’ that comes over the room…an involuntary *Respect* for The Gravy. Lol. Best Wishes & Happy Holidays to You & Yours! I do want to add about the bay leaf, the longer my broth simmers, the better the flavor since after closer to an hour, the bay leaf can change to deeper complex flavors that are not the star but definitely the shoulders for the rest of the flavors. If I have a long cooking time for the main meal, I start off in my kitchen with the broth simmering up to 30-35 min then leave it sitting on that same but now ‘off’ burner, nearer to other burners in use or a hot oven always helps, keeping the broth warm and steeping the bay leaf for at least an hour. There is nothing to watch over, it does it all on it’s own, much like making a cup of tea but longer steep time. Then after an hour or more, when it’s time to make the gravy, I strain out the bay leaf, seasons, and onions and proceed. Just wanted to clarify since my previous post was a bit vague on this and vagueness doesn’t go over well on the internet. When in a hurry or needing to whip up a batch, I’ll go with the quicker, shorter simmer time. I somewhat made up the “slurry method” name but it does fit well. I always talk about using things like cornstarch in a slurry and I needed to call it something. I learned it from my wife but really it is what my mother did but I didn’t learn it then. I have never seen it documented in any formal way although I’m sure it is out there without a name. I do find this method very forgiving so great for home cooking. But it does move fast so the beginners need to read and understand it before starting. Thanks for the note and experience.